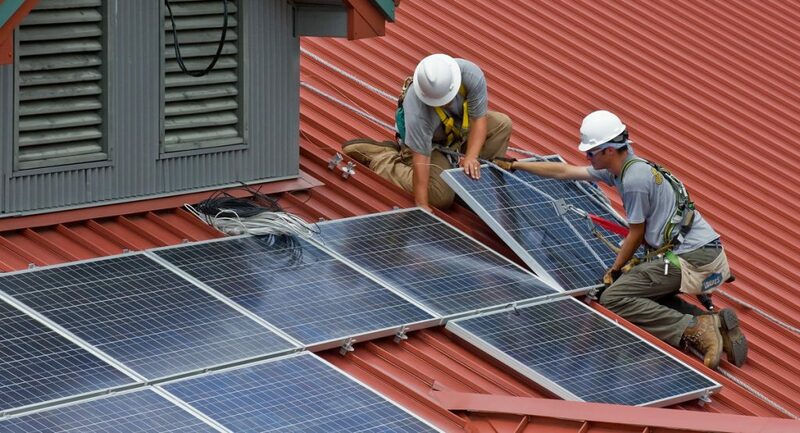 Here at Solare Energy, we understand the problems that can arise when owning a solar array. We’ve opened up our service department to all residents of San Diego, regardless of who installed your system. Below you will find the services we offer. Service calls start at $149 and go up from there depending on the issue. Call us today at 858-547-4300 or click here to request a service quote. A complete system and production diagnostic to ensure your solar array is working properly. If anything is not in working order, we will correct the issue for you and address any concerns you may have. We are here to help you upgrade your solar system. Panel additions, inverter upgrades, and everything else possible under the sun. Utilizing online technology, we’re able to monitor your system and if at any time its performance falls below the guaranteed production levels, we’re here to offer support via phone or an on-site visit. We will safely clean your panels of any dust, dirt, and grime that accumulates to make sure those panels are producing at maximum efficiency. We develop energy use profiles based on past energy bills and inspection of key energy use systems to give you the best possible savings on your energy bill. We are Tesla Powerwall Certified Installers and we have many battery options to give you peace of mind in case of a power outage. We will service any warranty replacements and work with the vendors to get replacement equipment in a timely manner. After we install the replacements you get peace of mind with our 25-year workmanship warranty.